On May 15th, three dozen Freedom Project supporters partnered with the Seattle Foundation to GiveBIG. These generous donors showed their belief in Freedom Project’s work by logging on to the Foundation’s website and donating. Seattle Foundation takes all the dollars given on their website that day and stretches them before passing the money on to Freedom Project. 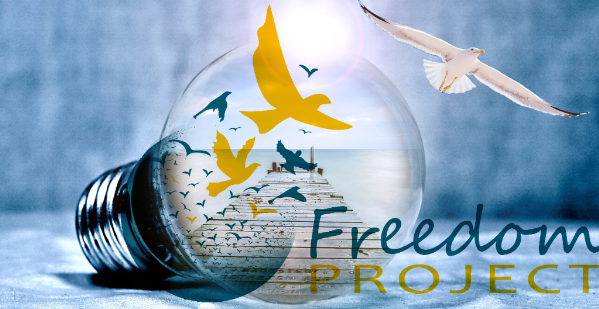 We’ve been notified by the Seattle Foundation that the Freedom Project will receive over $8,000 from the May 15th Give BIG campaign. In addition to that we will receive our share of the $1 Million “stretch” pool from the campaign sponsors by the end of June. The “stretch” amount is based on a percentage of the total donation. The campaign had over 1,300 nonprofits in the Seattle area who benefited from the Foundation’s efforts. The campaign raised $11.1 million from more than 54,000 donors that responded to the 24 hour campaign. We are most grateful for those of you who decided to GiveBIG to the Freedom Project. You can donate any day of the year by clicking on the JustGive logo.